If you already have a diagnosis – whether you’re a patient or a clinician – a second opinion can provide valuable reassurance and confirmation before you go ahead with treatment. Dr Basu is frequently asked to provide a second opinion thanks to his experience and expertise around musculoskeletal imaging. He practices with the mantra that scans should only be performed if absolutely required. If patient’s previous imaging (within the last 6-12 months) can be reviewed and answers to the clinical questions addressed, then that could save patients having to undergo more scans potentially. Only by identifying the source of the problem correctly can you ensure effective treatment. If you do not have a correct diagnosis, you cannot expect to recover fully or achieve the best outcomes. Confirmation that you have received the correct diagnosis before going ahead with treatment. Because you are unhappy with the original diagnosis or believe that something may have been missed. Because treatment based on your original diagnosis is not producing the expected results. Because you would like the opinion of a specialist radiologist. Because you are a clinician and would value the benefit of another’s experience. Because your insurers are requesting it. Because it would give you peace of mind. Because your scans were carried out overseas and you would value the opinion of a UK-based radiologist. (1) Once we have your scans, they will be analysed by Dr Basu, an experienced and specialist radiologist in musculoskeletal imaging, It is possible you won’t need to repeat your scans providing we have access to all the information needed. (2) Dr Basu will offer his review and differential diagnosis +/- recommendations on subsequent management, detailed in a report. It is important that any test results are discussed with your doctor. (3) If further scans are required, we offer radiology testing using the most technically advanced equipment in multiple locations for your choice and convenience. You may be concerned that seeking a second opinion might upset your current consultant or impact your treatment in some way. 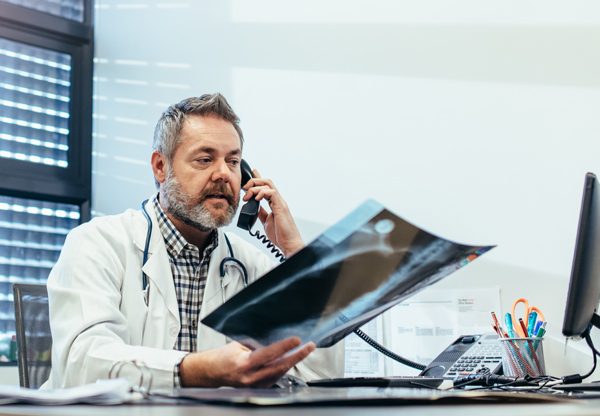 However, doctors and consultants are very used to patients asking for confirmation of a diagnosis or course of treatment and it will not affect the treatment you receive. We endeavour to respond to second opinion requests promptly as we know that it is important for those concerned to get back to their normal life as quickly and easily as possible.